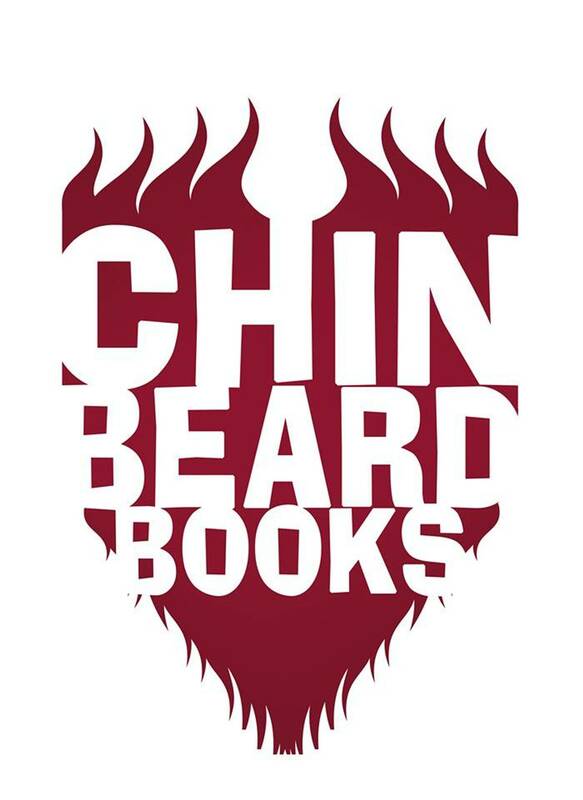 As well as producing our own high-quality books, Chinbeard is also working with talented authors for charity. these books are presented in 'most recent publication' order, so do keep scrolling down! 1977: Brian Eno and David Bowie apply random oblique strategy cards to the recording of Bowie's Low and Heroes LPs. From rock 'n' roll comes a new kind of art. 2017: playwright Elton Townend Jones and his Vortex of Wholigans apply the same strategy cards to every #DoctorWho TV story. From time 'n' space comes a new kind of magic. 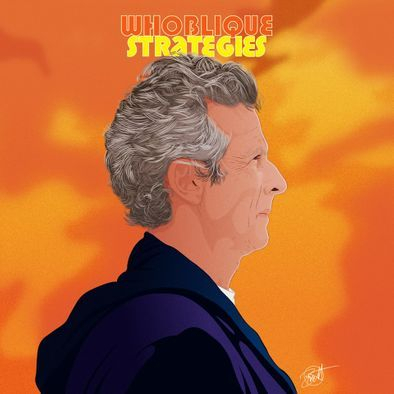 Over 275 stories, over 275 bursts of fast fiction, 70 writers, 16 Doctors, and a whole new adventure across the history of everyone's favourite Time Lord. 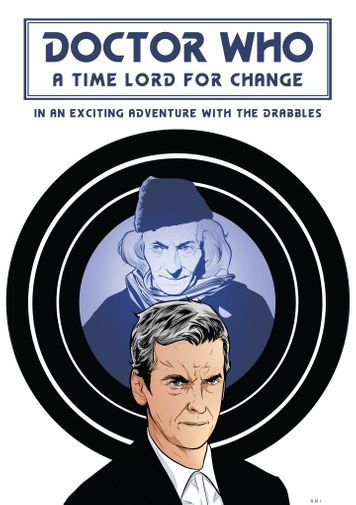 A Time Lord for Change is a brand-new charity anthology that takes every single television Doctor Who story from 1963-2015 (from ‘An Unearthly Child’ to ‘The Husbands of River Song’) – covering all the Doctors, companions, adventures, and enemies – and responds to them re-imagines and re-interprets them as drabbles: stories, poems, letters, songs, vignettes and memoirs of exactly 100 words in length, no more, no less. And this book contains over 270 of them! The book is £7.49. Each copy bought from Amazon USA, Amazon UK and Amazon EU will mean a £2 donation to mental health charity MIND. MIND provides advice and support to empower anyone experiencing a mental health problem. They campaign to improve services, raise awareness and promote understanding. A Time Lord for Change features a host of authors (a vortex of Wholigans, in fact) - over 100 professional and amateur contributors, including prominent names from Doctor Who itself: Colin Baker, Katy Manning, Andrew Cartmel, Robert Shearman, Jane Sherwin, and Terry Molloy. It was conceived and commissioned by Cliff Chapman, with project publisher/producer Barnaby Eaton-Jones (Robin of Sherwood: The Knights of the Apocalypse) and critically acclaimed playwright and theatre producer Elton Townend Jones (The Unremarkable Death of Marilyn Monroe), who edits the collection. It has a cover design by Steve Horry and internal illustrations by Gary Andrews. "Doctor no more. Hero no less." Gertrude Harrington was something of a celebrity. In her 100th year, and sadly diagnosed with an inoperable brain tumour, she became an amateur sleuth and began solving the unsolvable. Her doctors suggested it was the tumour pressing on uncharted sections of her brain that was granting her these deductive powers. New Scotland Yard were just happy to tick off twenty unsolved cases that had eluded a conclusion. These twenty cases, contained in this anthology, may have made Sherlock Holmes think twice before setting out to solve them. But then, Sherlock Holmes wasn't a multi-tasking woman. Invest is Me is a UK charity established in 2006 by parents of children with myalgic encephalomyelitis (ME) and people with ME; aiming to change how ME is perceived and treated in the media and healthcare system and to develop a strategy of biomedical research in order to find bio-markers for diagnosis, and treatments or cures. The charity is a founder member of the European ME Alliance and works in productive collaboration with other international patient organisations. 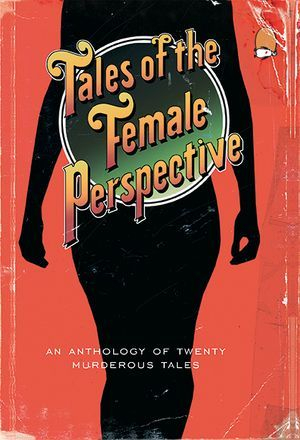 Tales of the Female Perspective was commissioned and created by Barnaby Eaton-Jones, in a homage to Roald Dahl's dark and twisted adult short stories. 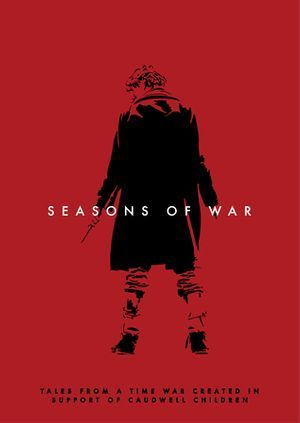 It was edited by Frances Gardiner, Nicholas Hollands and Barnaby Eaton-Jones, with contributions from professional writers Sam Stone, Annie McKie, Jarek Adams, Mark Blayney, Raven Dane, Scott Handcock, Alex Davis and Tricia Heighway; as well as a host of highly talented amateurs. The cover art is by Robert Hammond, with thanks to photographer Abigail Glover, MUAH artist Rebekah Deponeo, and models Elizabeth Maloney and Mike Thomas.